This recipe is for the more adventurous of palates. 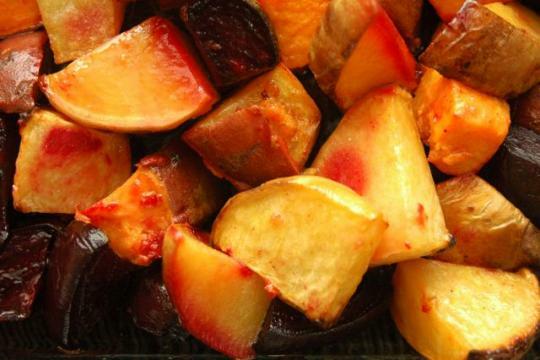 The combination of rutabagas, beets, and onions create a magnificent smokey, and slightly sweet taste. Preheat the oven to 400 degrees. Arrange the vegetables in a casserole dish. Drizzle with olive oil, sprinkle with sea salt and black pepper, and mix well. Cook for 45 - 60 minutes, stirring occasionally for even roasting.